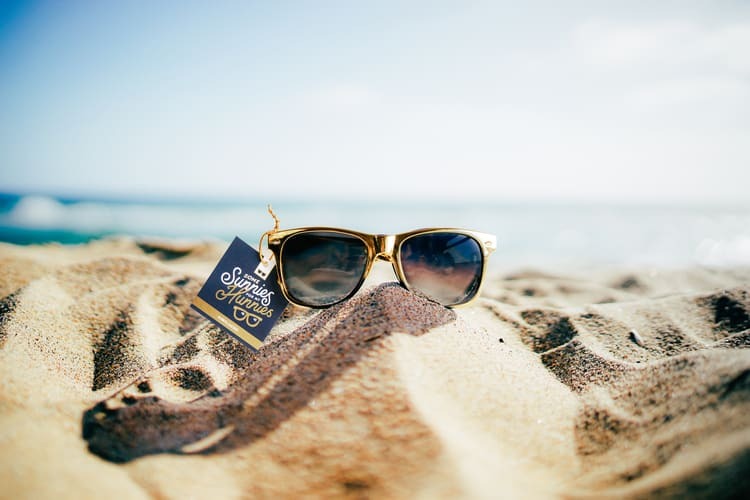 Have you been looking for really fun and cute ideas to ask friends to be bridesmaids at your destination wedding? I get it. I still remember that giddy but nervous feeling when I proposed to my bridesmaids. 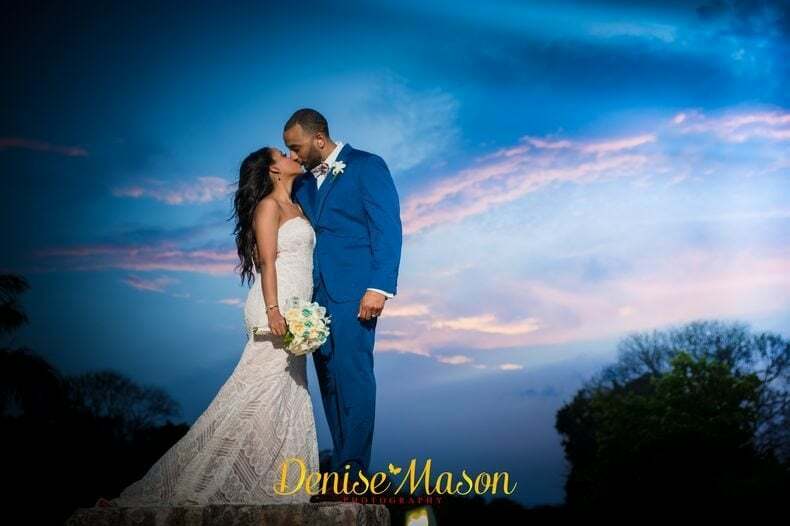 It felt like the stakes were higher because I wasn’t just asking them to put on a hideous gorgeous dress and drive to the local church and venue for a few hours. No– I was asking them to make a huge commitment. Buy the dress. Take time off from work. Buy a plane ticket. Pay for a hotel. Plan a bachelorette/bridal party. AND put on those lovely dresses, so they can take part in the most memorable week of my life. No pressure. What’s not tacky… is a single thang about this beach/destination wedding bridesmaid proposal box by Mailbox Melodies. I’ll tell you all about it in a second but first the disclosure: although this post was sponsored by Mailbox Melodies, I only accept sponsorship from companies I am genuinely excited about. All opinions expressed in this post are my own. This adorable tropical bridesmaid proposal box was created by Kaylee Conrad at Mailbox Melodies – she’s a one-woman show producing some of the most unique and well thought out gift box/care package options for any occasion. Her entire mission and purpose are SO fitting for wedding season – hence the perfectly curated gift boxes. She set out to bring back gift giving that is thoughtful, personal, unique and fun! I mean let’s face it…when it comes to weddings, the whole gift-giving process can be pretty bland. If you do a quick google search you’ll find gifts to ask friends to be bridesmaids, but they’re not specifically made for destination weddings. 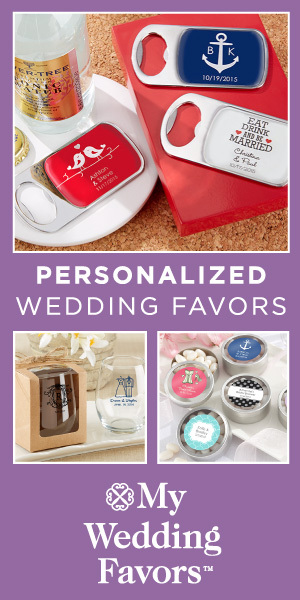 That’s why I was so excited to discover these bridesmaids proposal gifts that are specifically themed for destination and beach weddings. Kaylee came up with the idea last year after a friend approached her to see if she could create a bridesmaid proposal box to ask her friends to join her in Punta Cana on her big day. The result was this unique “If You like Piña Coladas” Destination Wedding bridesmaid proposal box. First of all, the sample arrived really fast and I got regular tracking updates letting me know when it would arrive. So far, so good. When I opened the box, I felt like I buying a plane ticket and being a bridesmaid at someone’s tropical destination wedding. This box was that cool. My first impression far exceeded my expectations. It is tropical and fruity but in a classy way —the perfect combination for a wedding in paradise. The outside of the box has a cute tropical design and was personalized with my name in gold foil– so I was feeling pretty special even before I peeked to see what was inside. The box also comes with a couple of really cute hair elastics because you know… “beach hair don’t care” (again, Kaylee’s words). 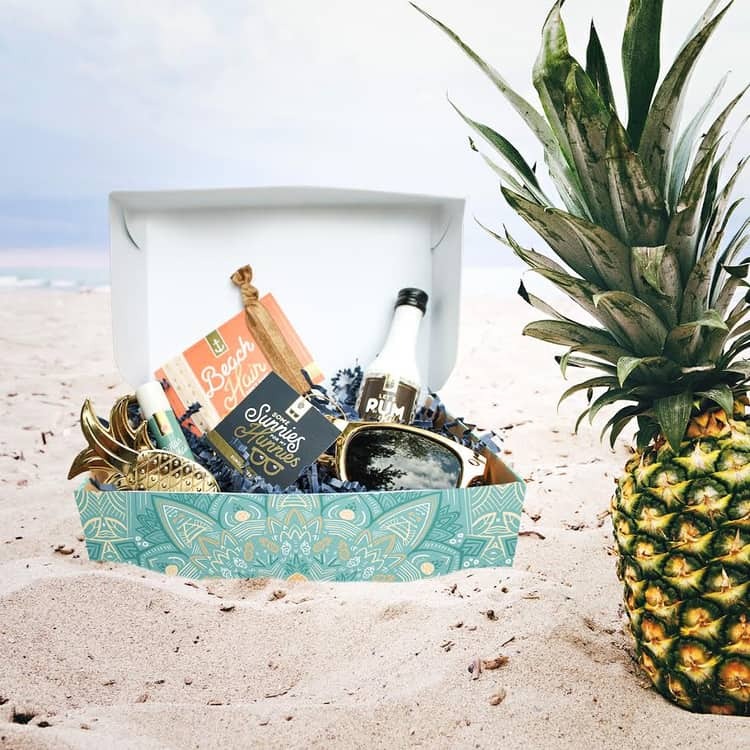 Since you’ll obviously be enjoying some adult beverages in the sun, it’s only right that this box includes a gold color metal bottle opener… shaped like a pineapple! Speaking of pineapples, there’s a lovely silky lip-balm that says “Piñas for my niñas” (translation: “pineapples for my girls”) and uhhh, yeah… it really smells like pineapples. If you’re not in the mood for a piña colada by now, you’re a monster. If you are, you’re in luck! 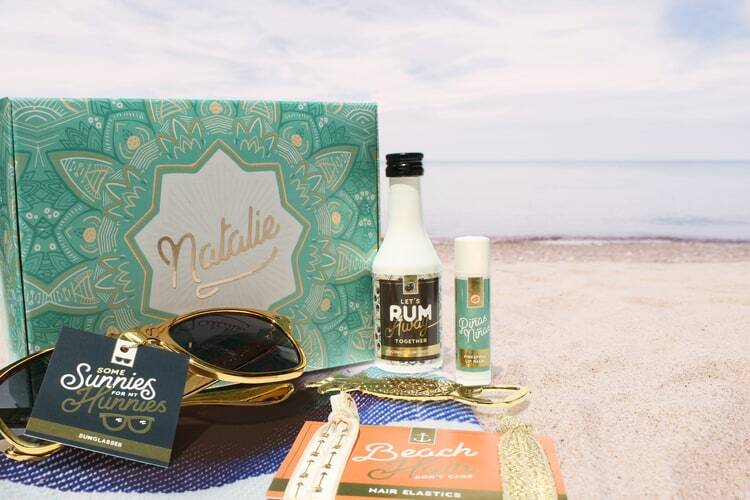 This box comes complete with a gold foil label that reads “Let’s Rum Away Together”, and will fit on a mini coconut rum bottle – or any nip of your choosing! Piña Colada Ingredients: Pineapple, Coconut, Rum, Laughs, Love. Kaylee’s Bridesmaid Proposal Box Ingredients: Pineapples, Paper, Gold Foil, Laughs, Love. I absolutely loved this little tropical bridesmaid proposal box so go check them out for yourself. Your bridesmaids will thank you.